1. Today I will live in the now! I will live in the now because I have learned how to appreciate my life—to celebrate all of it—reveling in my victories, learning from my defeats and simply enjoying the journey. God is good! Life is good! It’s all good! I have cause to celebrate just because it’s today! 2. Today I will be happy and thankful and positive and light—with a good attitude, with hope in my heart and strength in my soul. I have nothing to fear or dread because Christ in me is the hope of glory and He has won every battle for my life. He is the champion and I celebrate His conquering life today! He is my hero in everything that happens. 3. Today I will not waste my time for celebration by regarding regrets. I do not regret my past; what’s done is done and God and I can deal with it all. I no longer regret my sins, for they are all under the blood of Jesus. I do not regret the time that I have wasted, because I live in the now and God restores my lost years to me. I do not regret my life choices, my mistakes, my abuses or my problems, because in the big picture, all things have worked together for my good! 4. Today I will praise the Lord, Who is great and greatly to be praised. I will pitch my tent on Mount Zion, in the presence of the Lord of Hosts, and will find fullness of joy there for me and for my house. 5. Today I will live in the moment…I will seize the day…I will rejoice and be glad in the day that the Lord has made for me! Today I embrace the world around me and love it unconditionally. 6. Today I will enjoy abundance and favor and prosperity and success…every good and perfect gift that comes down from the Father of Lights. Joy flows out of my heart like a river, bringing life to the desert of depression where so many are dying. 7. Today is a day to thank Jehovah Rapha, the God who heals by making bitter experiences sweet. He has turned for me my mourning into dancing and has given me the garment of praise for the spirit of heaviness. I celebrate His life in me because he has girded me with gladness and caused my cup to run over. Today He anoints me with the oil of joy above those around me, and today I will live in the now! In Jesus’ name, I will celebrate my life today! 1. Today I will live in the now! I will live in the now because I have realized how important my time is and how necessary it is for me to stop wasting it. I can do something to advance the Kingdom of God now! I can do something to make the world a better place in which to live now! I can do something to help somebody I love now! I can do something to improve my life now! 2. Today is a day full of opportunity and promise. I don’t have to be victimized by the swift passage of time, because I have the ability to redeem it. The eternal “I AM” lives in me and, therefore, time is on my side. It is never too late for a miracle! 3. Today I will stop delaying my destiny. I will be a proactive producer rather than a prosaic procrastinator. I will not be lazy. I will stop making excuses for myself. I will not put off until tomorrow what I should go ahead and do today. 4. Today I will move toward the fulfillment of the prophecies over my life. I will find ways to start making my dreams come true, and I will enjoy the journey every bit as much as I do the destination. To accomplish this, I will start making the necessary changes in my thinking immediately. 5. Today I will not allow an unfounded fear of failure prevent me from getting started. So what if I fall? Stepping out of the boat is more important to me now than trying to stay out of the water. In fact, I would rather be a wet “water-walker” than a dry “boat-dweller”! 6. Today I will trust that God will stop me before I take a wrong step, because I have prayed over my path. My faith will distance me from the pack—those who are too careful or too afraid—and I will ride with God on the high places of the earth. 7. Today I will be brave enough to take the initiative in pursuing my best destiny. I have experienced enough to know that I don’t have to be afraid anymore. I am ready to get started today, and today I will live in the now! You can’t put God’s Kingdom off till tomorrow. Father, give me the courage to get started on my journey today. In Jesus’ name, amen. provides her supplies in summer, and gathers her food in the harvest. 1. Today I will live in the now! I will live in the now because I am a doer of the Word, someone who takes action. I will seize the day, live in the moment, and perceive the power of the present—and at the same time take charge of my life by preparing for my future. What I do today will make a difference in the world around me. 2. Today I am making plans…planting seeds for a desired harvest…watching and praying…but I am doing it all without taking thought for tomorrow. I make wise preparation, all the while considering the lilies of the field! This is impossible to do in the natural, but with God all things are possible. I am blessed to be balanced in Him. 3. Today I am a co-laborer with God. I am His fellow worker. I can decree a thing so that it can be established, but I can also cast my care upon Him. He will not do everything for me, and I do not have to do everything for myself. God and I are in perfect harmony with one another. 4. Today I will recognize opportunity when it knocks. Jesus is made unto me wisdom. I have the knowledge of witty inventions. I have the Mind of Christ. I know when to move and when to act. I also know when to be still and wait. I walk in the Spirit. 5. Today I will not walk in stress or under undue pressure. The government is on His shoulder. I have the energy and the will to pursue success, but I also have the grace to let go. Through faith and patience I inherit the promises. 6. Today I have a keen sense of timing. I will not run ahead of God, nor lag behind Him. I will move with the cloud. I will not act prematurely, nor will I procrastinate. I am in sync with God, moving in tandem to his perfect leadership. 7. Today I make good and right decisions. I am not afraid to trust my instincts. I will patiently wait for the “blade” and the “ear,” but when the “full corn in the ear” is ripe, I will not hesitate to thrust in the sickle and reap! I will discern my moment of visitation. I will not miss my window of opportunity. I can do something powerful and important today, and today I will live in the now! Father, show me today how to “act now.” In Jesus’ name, amen. Would you like to…discover your destiny?…perceive your purpose?…validate your vision?…reinforce your relationships?…strengthen your self-esteem?…overcome your obstacles?…feed your faith? You can…this year! You can…by living in the now! You can…one day at a time! God is on your side! He is available to assist you in the pursuit of your potential as you develop the diligence to seriously search out your personal path for growth into greatness! Through seeking first His Kingdom and righteousness, you can become the person that he created you to be! You can only find God’s Kingdom in the eternal “NOW” as you endeavor to experience Him in your everyday existence. Kingdom-seeking consists of a constant effort to embrace the now and a commitment to the continual conforming of your consciousness to it. This empowers and enables you to escape the mental distractions produced by living in the past or in the future, so that you can comprehend a real Christ for your current real circumstances! 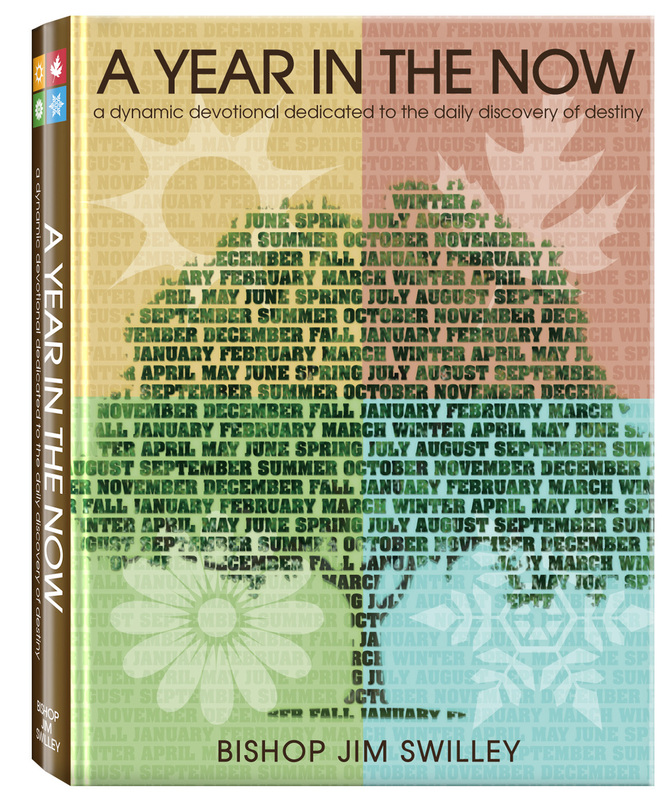 A YEAR IN THE NOW is a devotional designed to deliver a doable format for the daily development of your eternal life – to help you think creatively, beyond your familiar, time-bound comfort zones. These positive and powerful affirmations will provide the help you need to progressively put your life on the right track in realistic increments. You don’t have to become overwhelmed by the tremendous task of trying to lead a “now life” in a “yesterday/tomorrow world”. You can do it day by day! This is your year to change your world! You can change your world by changing your mind! You can change your mind one day at a time! It’s time for a fresh start, and you can start right now! Hugo Bustos on April 14: BURNING BUSH! Cialis on April 14: BURNING BUSH!